In splendidly illustrating the disappearing beauties and remaining monuments of ‘Istanbul Unwrapped,’ the two most recent issues of Cornucopia’s timely and moving series have recalled how Edward Barton, Queen Elizabeth I’s second ambassador to the Porte, came to be buried on Heybeliada in 1598. 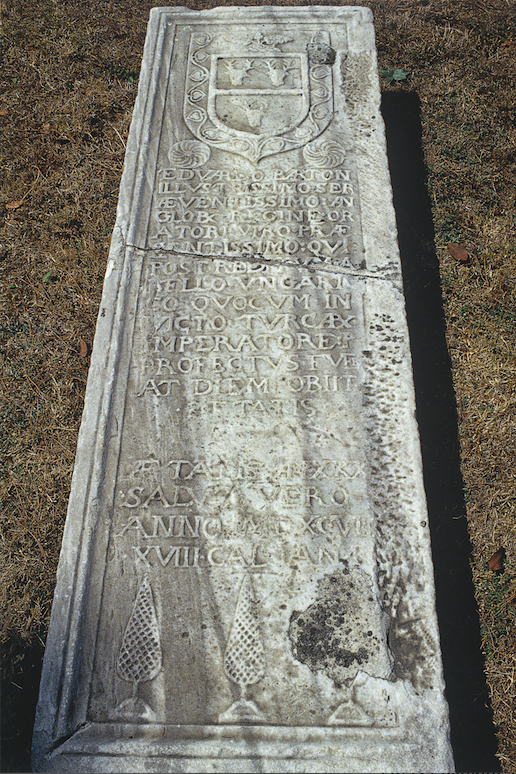 A photograph of Barton’s tombstone, relocated to the Haydarpaşa Cemetery last century, appears in issue 52 (p. 87), while the original site of his grave in the cemetery of a former Greek church on the island occasions a brief note in the most recent issue that Barton ‘fled the city to Heybeli during an outbreak of plague in 1597 but actually carried it with him and died on the island’ (issue 53 p. 98). Contemporary fascination with the circumstances of Barton’s death generated confused accounts both of the cause and location. In London in 1624, his sister was claiming that he had been poisoned by Ottoman nobles who feared he was trying to convert Sultan Mehmed III to Christianity. The tale that Barton ignominiously fled to Heybeli but nevertheless died there of plague appears to be the invention of the author of the entry in the first edition of the Dictionary of National Biography, published at the end of the 19th century. In 1931, Sir William Foster’s edition of the letter-book of Barton’s Istanbul contemporary, the Levant Company accountant John Sanderson, cast clear light through letters circulating among the English communities in Aleppo, Istanbul, and London at the time of Barton’s death. From these we learn that Barton died not of the plague but of dysentery, ‘the flux’, in the English house in Pera and that his body was taken to Heybeliada for burial amidst some considerable ceremony. Whether the sieur de Brèves, the French ambassador with whom Barton had regularly crossed diplomatic swords, attended the funeral or not, his funeral was clearly an occasion of some considerable ceremony and public interest, befitting not only Barton’s personal status but that of the English community in Istanbul. Professor Christine Woodhead’s new and scholarly entry for the revised on-line Dictionary of National Biography does a wonderful job of evoking the intriguing details of Barton’s career – from the 21-year-old who carried letters from the sultan to Ottoman governors in North Africa guaranteeing the security of English shipping, to Elizabeth’s 30-year old ambassador plotting against the Habsburgs, and to his honorific but controversial invitation to accompany Mehmed III and his army on campaigns into Hungary in 1596, all culminating in his untimely death at the age of only 35. Confirming Lello’s account, the Venetian agent of the Fugger banking family reported: ‘They write from Constantinople on the 11th February that the funeral of the late English envoy was carried out with great solemnity and attended by many distinguished gentlemen and representatives of foreign countries.’ (Fugger News-Letters, 2nd Series, 302). 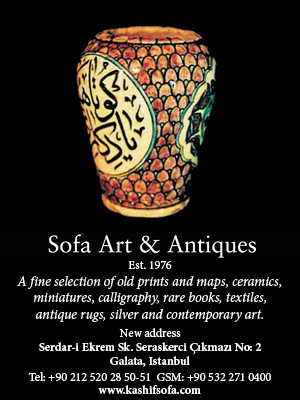 Edward Barton was, in Professor Woodhead’s phrase, ‘a major figure in early English-Ottoman diplomatic relations’. Among the monuments of ‘Istanbul Unwrapped,’ Barton’s tombstone memorializes not simply his death but a funeral that was a notable event of international importance.